Iris enjoys making wire “speak” a different language. 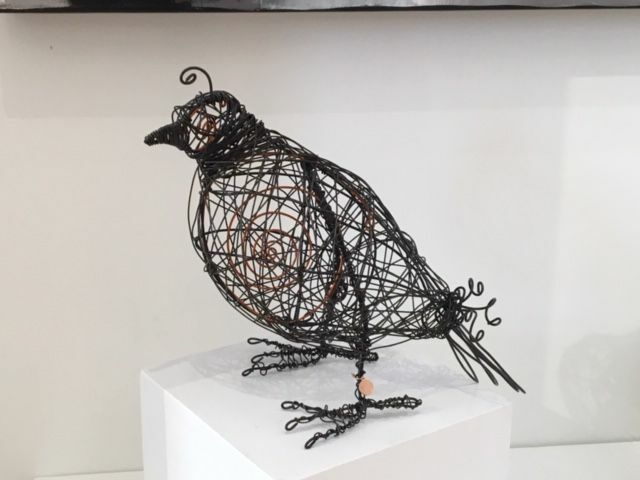 From being used as something to hold fences together, send electrical currents or act as structural arms, she turns wire into creatures such as birds, cats and dragonflies and infuses them with personality and whimsey. Mosaics, her second medium of choice, are challenges in line, colour, movement and pattern. 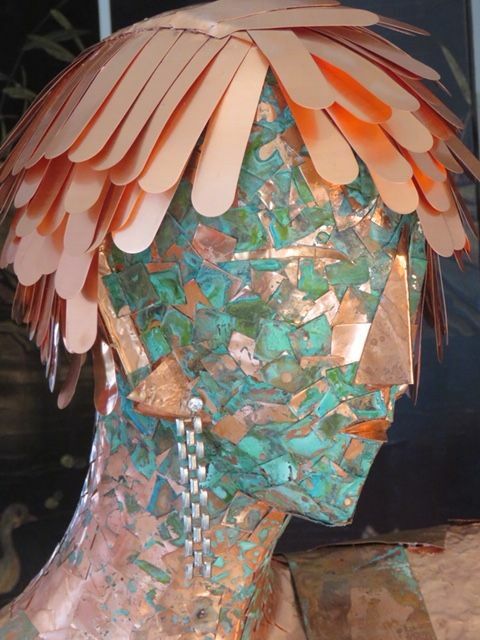 From tile to stained glass to metal pieces and found objects come creations that emote and tease.